aloo masala grilled sandwich recipe | potato grilled sandwich recipe with detailed photo and video recipe. 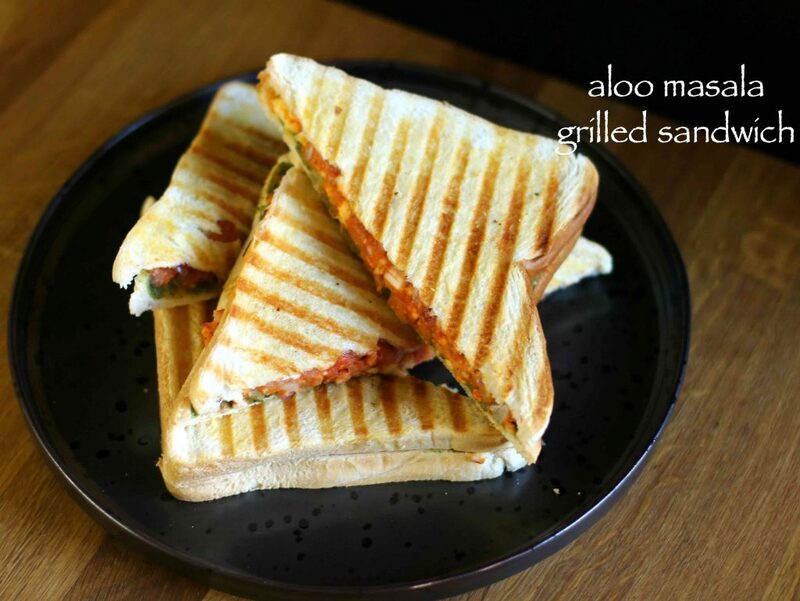 fundamentally a grilled sandwich recipe prepared with aloo masala with other ingredients and spices. serves ideal for breakfast and evening snacks but not restricted for lunch and dinner too. 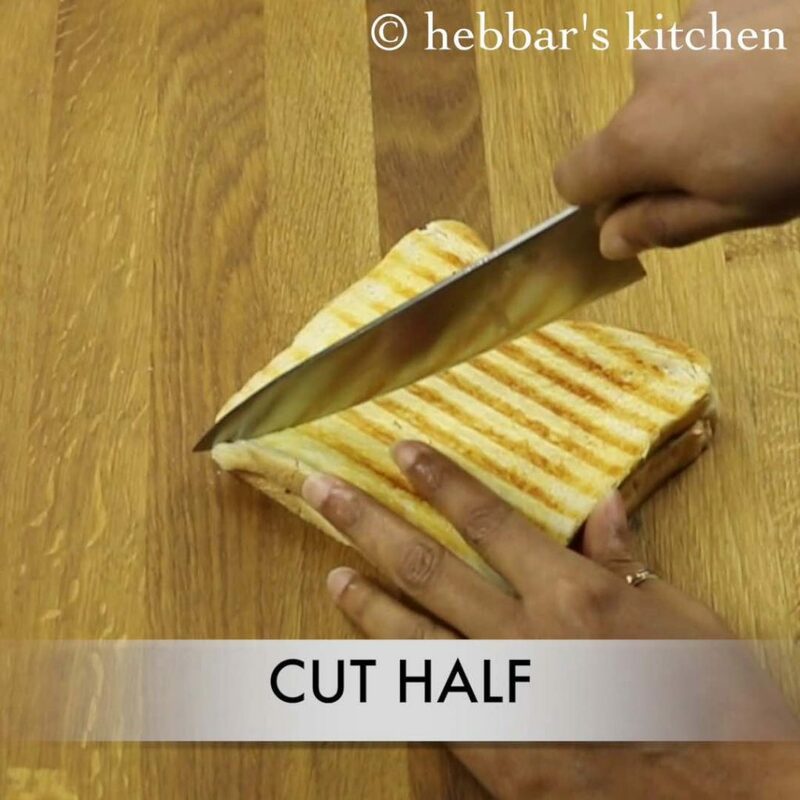 aloo masala grilled sandwich recipe | potato grilled sandwich recipe with step by step photo and video recipe. sandwich recipes are always versatile and is one such recipe which has to offer several varieties. one such unique street food of india is aloo masala grilled sandwich recipe. 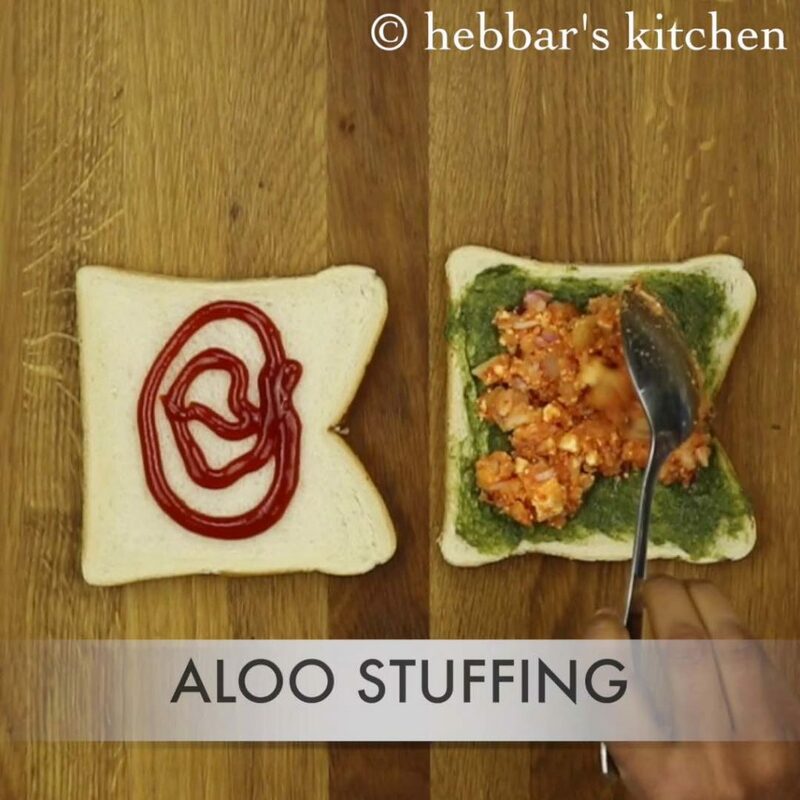 serve this sandwich recipe with green chutney and tomato ketchup sauce. 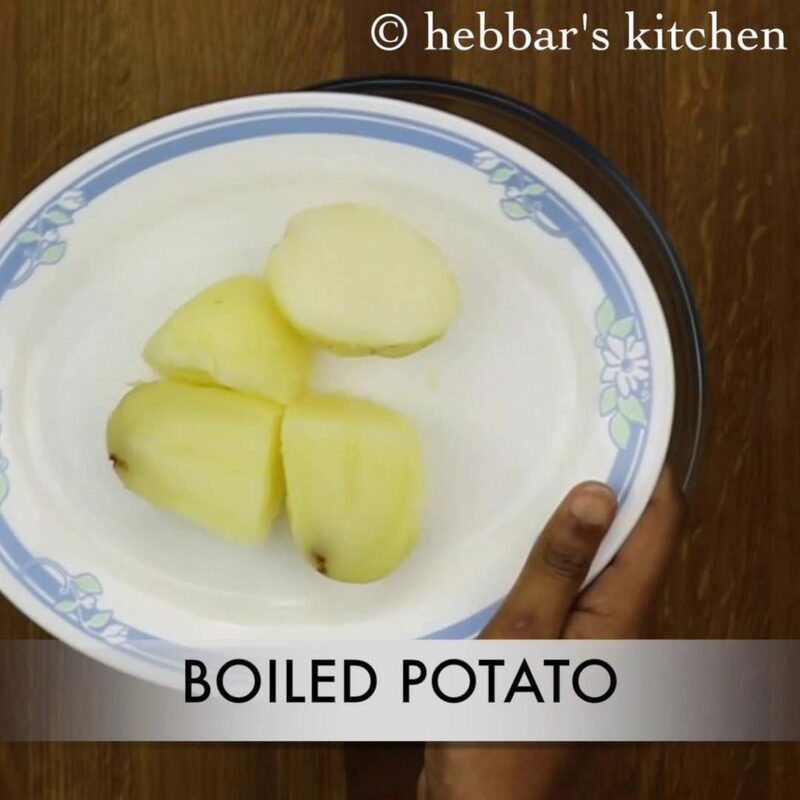 basically it is prepared from boiled mashed potatoes with onions and other indian spices. 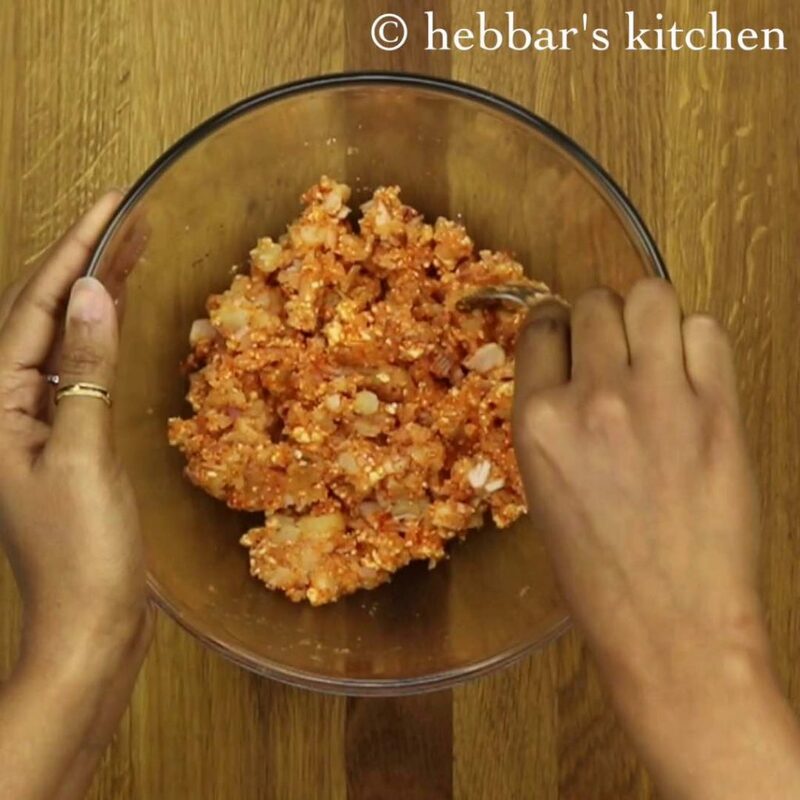 however, in this recipe i have even added some grated paneer or cottage cheese. 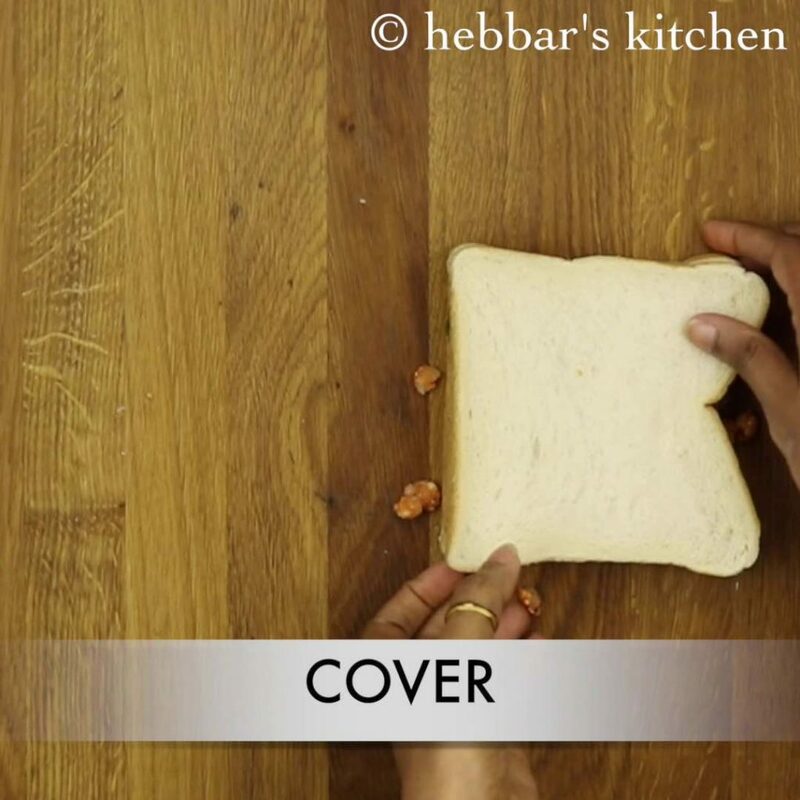 grated paneer in sandwich recipes always elevate the taste of masala sandwich to next level. however, adding paneer to potato grilled sandwich is optional and can be skipped if not preferred. 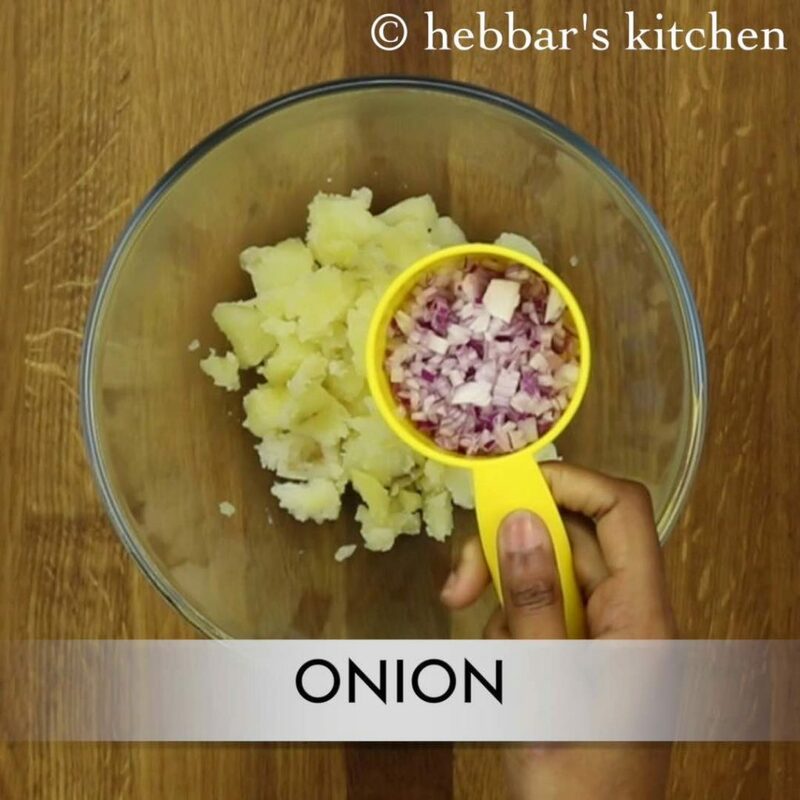 also, i have added finely chopped onions in this recipe. onions give crunchy taste to sandwich. again it is optional and the aloo masala grilled sandwich tastes great with just mashed potatoes. 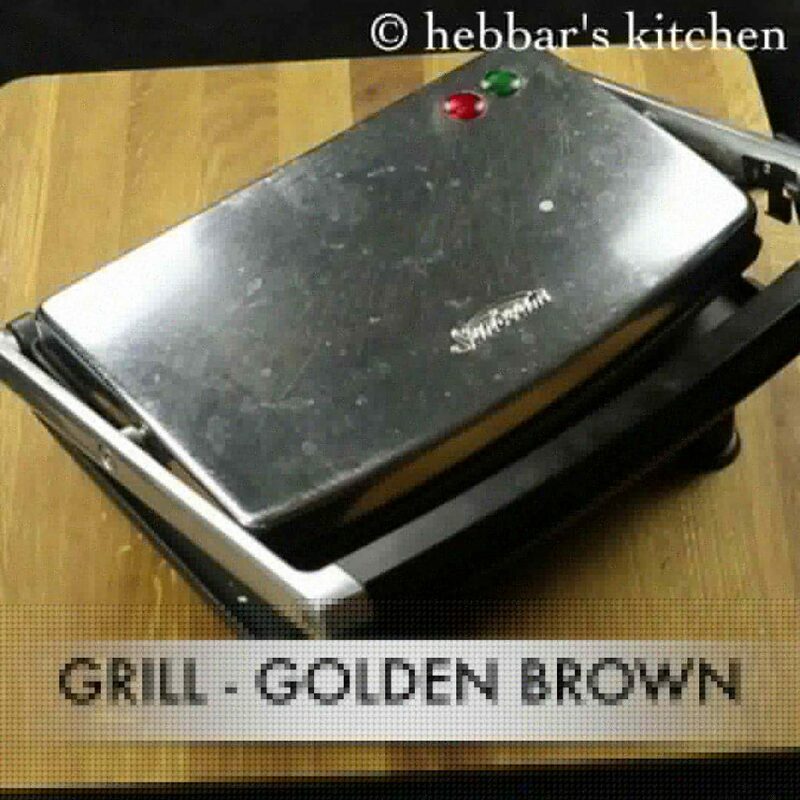 besides, i would like to touch base on some of the tips and tricks for crispy grilled sandwich recipe. 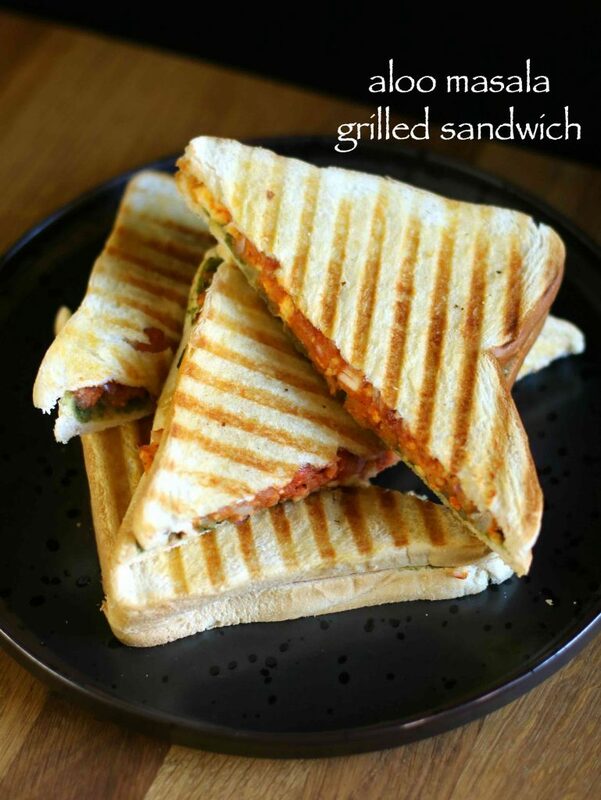 firstly, aloo masala grilled sandwich recipe is open ended sandwich recipe. add boiled peas, capsicum and even sliced tomatoes to make more colourful and tasty. secondly, i have added plain tomato ketchup, but you can make it more spicy by adding hot and sweet tomato ketchup. lastly, grill the sandwich with sandwich griller. 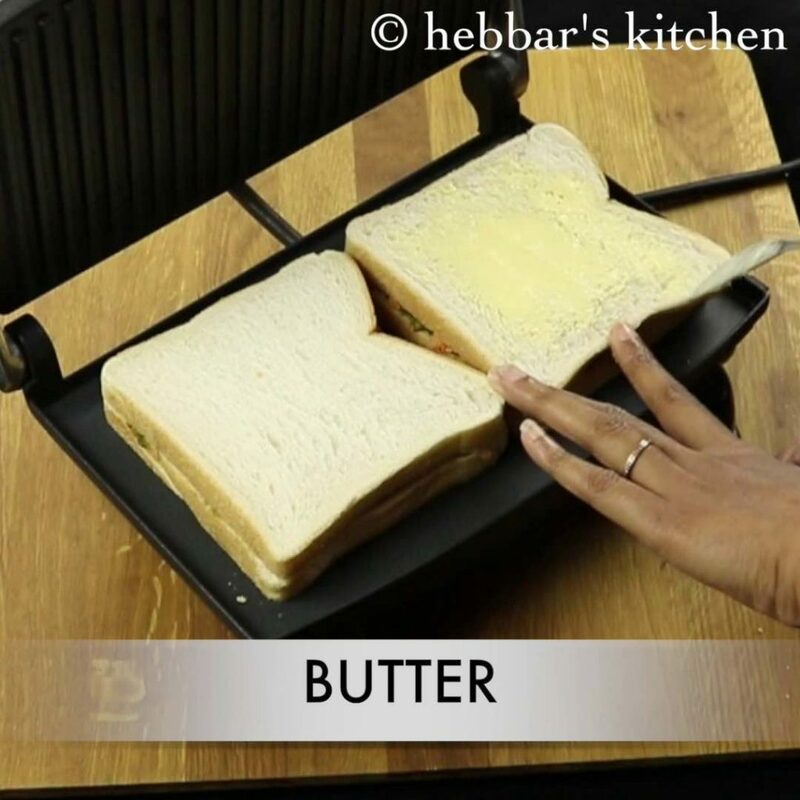 if you do not have a sandwich grill, then use normal dosa tawa and apply some weight on top of sandwich while grilling. also add in chopped onions. also add chilli powder, chaat masala, mixed herbs and salt. 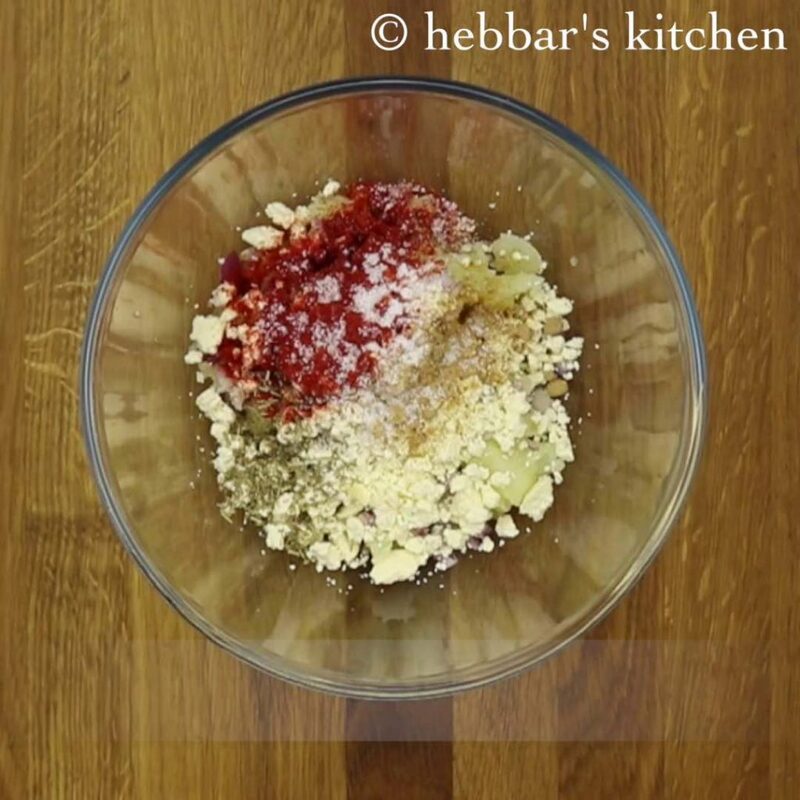 mix and mash the potatoes well. 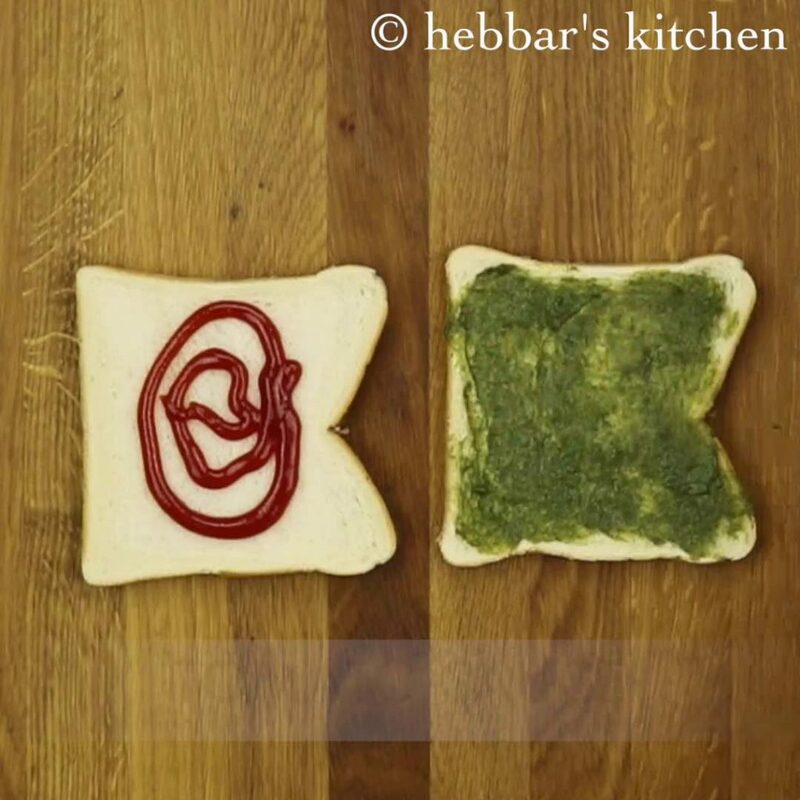 further take bread slices and spread green chutney and tomato sauce. spread the generous amount of prepared potato stuffing. cover with the other bread slice and press gently. then grill or toast on tawa adding some butter. 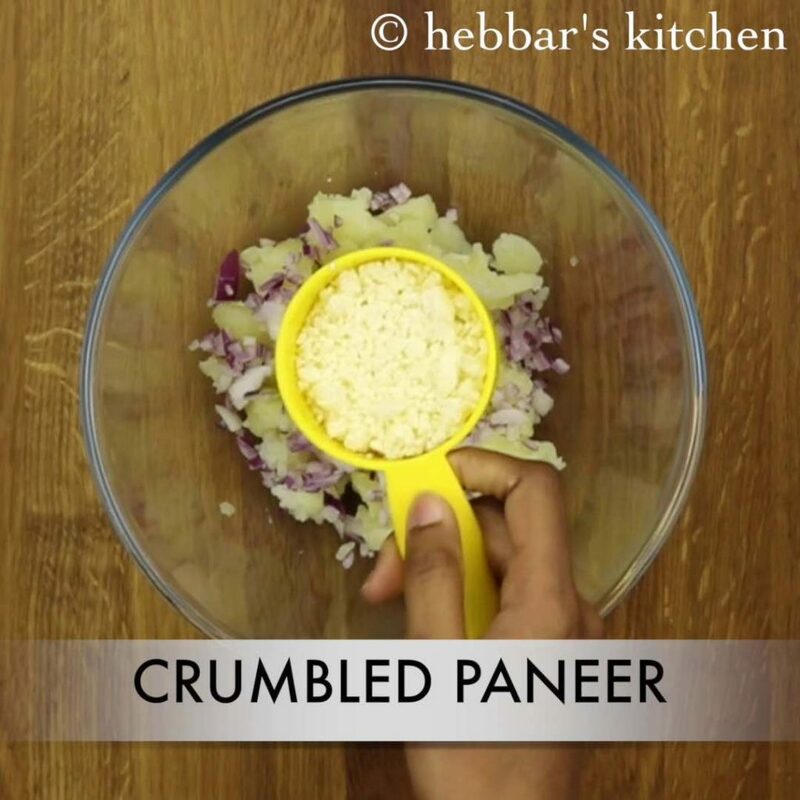 furthermore, grate paneer instead of adding to the mixture. also, add spinach leaves to make sandwich more nutritious and tasty. finally, saute potato and other spices if required. I have 4 portion sandwich maker. .. hw To make in that?? ?